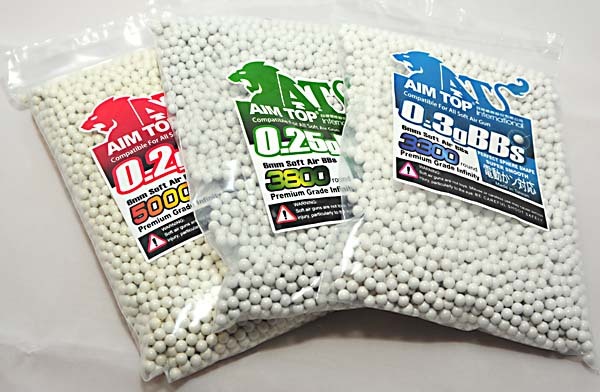 Badwolf BB's, high quality ammunition for your airsoft guns. Aimtop have changed the name of their BB's to Badwolf? who knows why? the quality is now actually better, your money back if not happy with them? We have been selling theses BB's for around 10 years, originally with our own label, but now with the makers logo, these are really 1st class, and will stand comparison with any brand.